Here's a musical instrument you haven't heard before on Global A Go-Go: the gyil is a 14-keyed tuned percussion instrument mounted on calabash resonators, which themselves are lined with the silk from spiders' eggs. The resulting sound is woody with strong sustains and a buzzing decay. 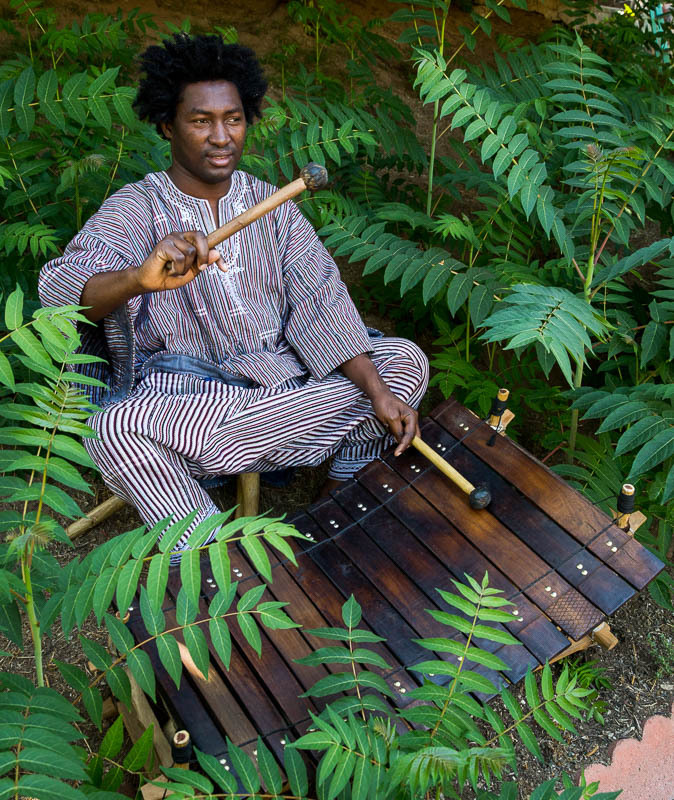 It's built and played by members of Ghana's Lobi ethnic group like SK Kakraba (pictured above), who now lives in Los Angeles and has a new solo album coming out in October on the Awesome Tapes From Africa label. You'll hear the earthy, trippy sound of SK Kakraba's gyil on this week's program. Also this week: Richard Thompson's Turkish connection; new salsa from Australia and Spain; and singer-songwriters en espanol.